In light of the recent launch of Inglot‘s first Greek web shop , Stella thought it would be a good idea to present to you some of my favorites products from the brand. 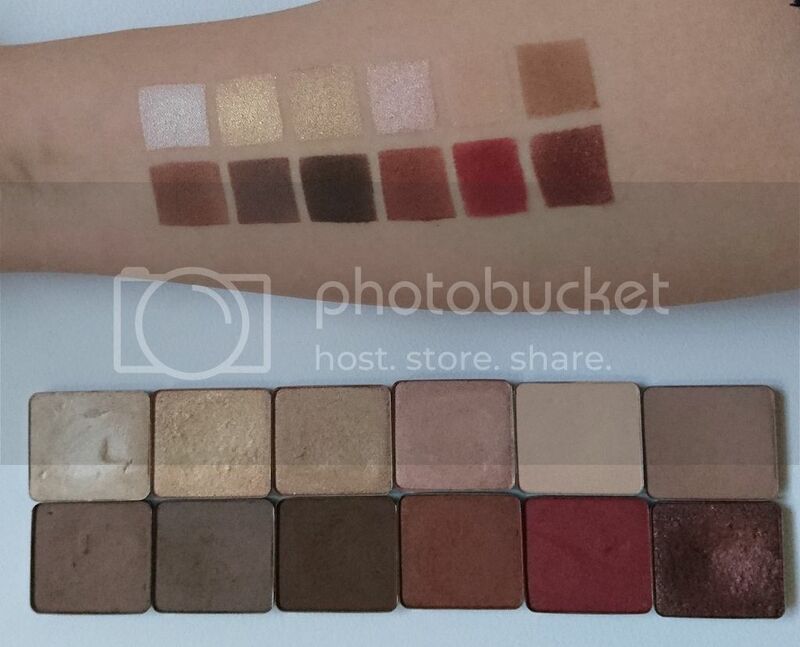 Since the naming system that Inglot uses, much like MUFE, is a bit too professional and complicated, I hope my collection of swatches and opinions will clear things up a little bit. Unfortunately, since the local shop in Thessaloniki closed its doors I haven’t had the opportunity to play with much new makeup from the brand, but I do still use and cherish the items that I did manage to get while it was up and running. By far my favorite thing from Inglot is their Freedom System eyeshadows. 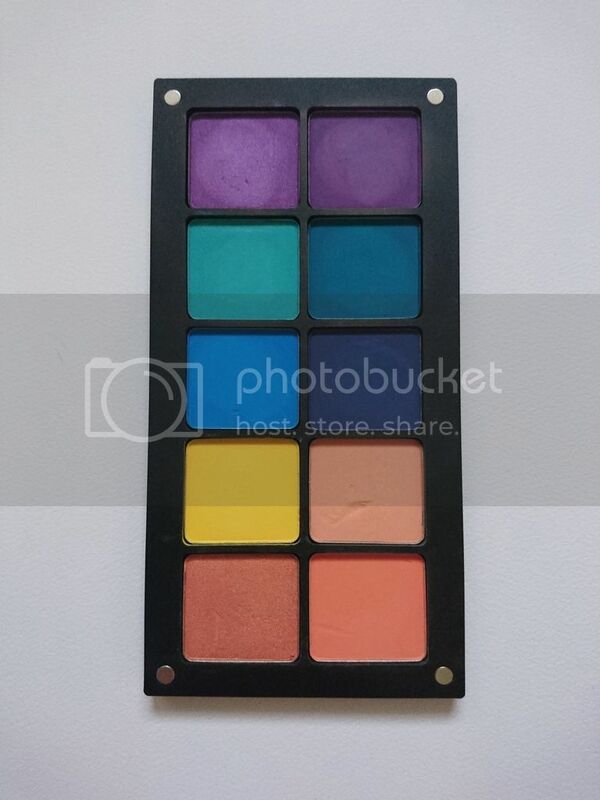 If you are not familiar with the brand, they offer an array of “freedom system” products and empty palettes (from eyeshadow monos and duos, to mix&match palettes for the woman on the go who wants her powder, blush and favourite shadows all in one) totally customizable to cater for the needs of both makeup lovers and professional MUAs. This is their 10-well freedom system eyeshadow palette. It has a magnetic frosted plexiglass lid with the company logo, and 10 individual magnetic cases to host the freedom system metal pans. They are very sturdy and I’m not gonna lie, they feel quite heavy (most definitely because of the magnets). The eyeshadow palettes come in singles (black and white), duos (with/without mirror), trios (with/without mirror), quads, quintuples (5-piece), dectuples (10-piece), 20-piece, 40-piece and finally the new Freedom System Flexi. 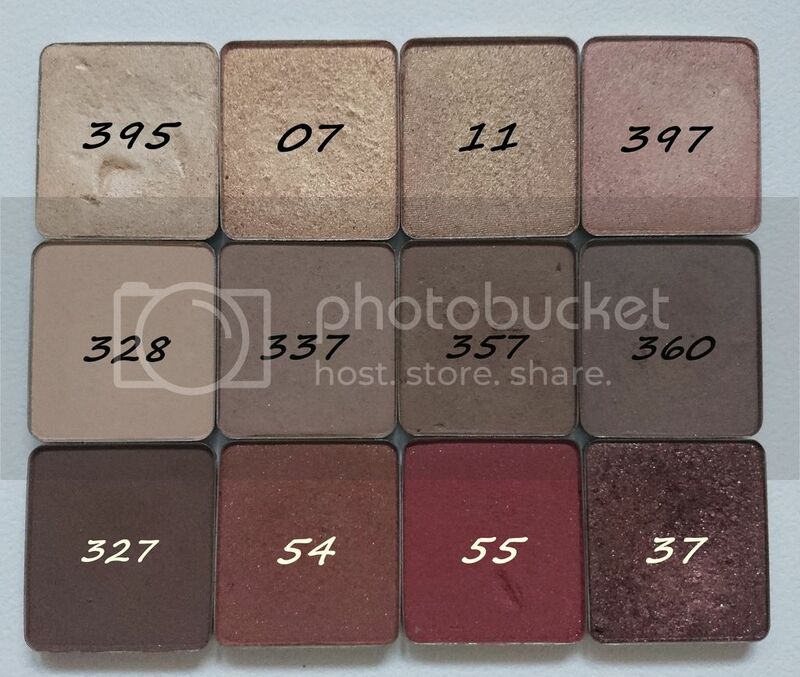 I should mention at this point, that taking shadows out of the freedom system palettes can be a bit tricky, because the magnets are really strong (to ensure the shadows stay put), that’s why Inglot offers a special refill remover, to help you lift the pans without damaging the shadow. 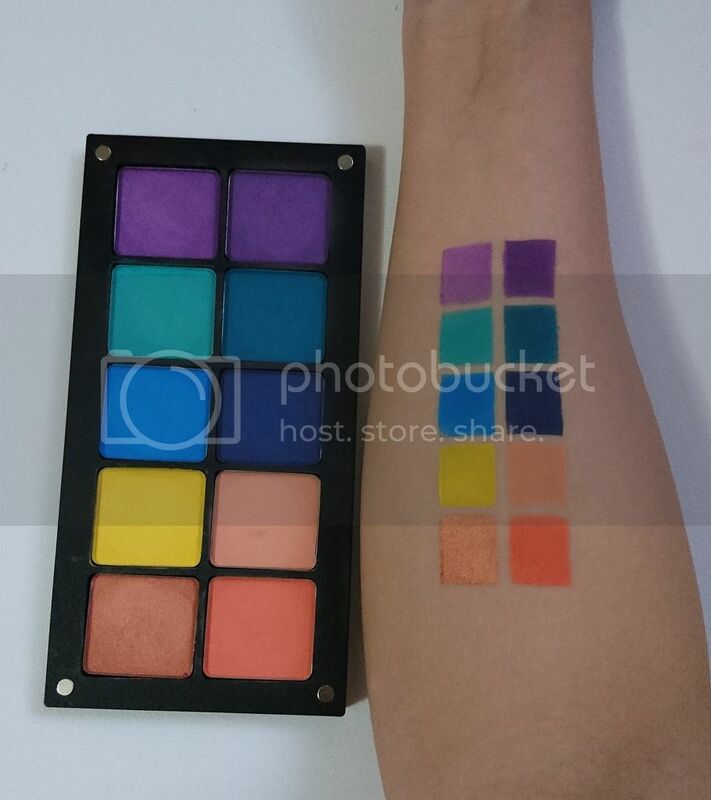 The individual shadows to fill your palette come in every color of the rainbow and more. The square shadow pans contain 2,7g (twice the size of a MAC shadow)of product and cost 6€ (half the price of a MAC shadow). They also go on sale quite often. So completing your ideal palette won’t be too hard. My all time favorites are 07 (a pale buttery champagne gold) and 37 (a deep almost maroonish brown). All the shadows apply and blend easily without skipping or leaving blotches even without a primer. I should warn you, if you get used to using Inglot shadows, you will be completely spoiled when it comes to mattes. You will also be happy to hear, that the pans stick to Z-palettes without the need of a metallic sticker. I have actually placed all my neutral shadows that I reach for on a daily basis in a z-palette along with others from other brands I like. Customize everything! AMC Pure Pigments : Amazing quality and a huge selection of colors including mattes, pearls, metallics and duochromes. AMC Gel Eyeliners : Waterproof, opaque and amazing. A wide selection of colors to choose from for the price of 11€. Duraline : I have an entire blogpost dedicated to this hocus pocus liquid magic. You can read it here. Long story short, if you want to revive your eyeliners or make any shadow/pigment into a liquid eyeliner, Duraline is your best friend. HD Perfect Cover Up Foundation : A medium to full coverage foundation that literally looks like skin and photographs beautifully. Brushes : Especially the eye brushes. Really good quality brushes for a very reasonable price. My 2 favorites are the 4SS for blending precision contour locations and the 6SS for my crease. If you are situated in Greece, you can get free shipping for orders over 50€. For my american friends, you can do your shopping here, at Macy’s and at BeautyLish. The lovely people of the UK (greetings, friends!) can shop over here. Let me know if you will be getting something, I am always curious.